Every Italian schooled in Italy has read Carlo Levy’s book Christ Stopped at Eboli. Eboli is a town just south of Salerno in Southern Italy. Once you go south past Amalfi, you enter the REAL Italy. 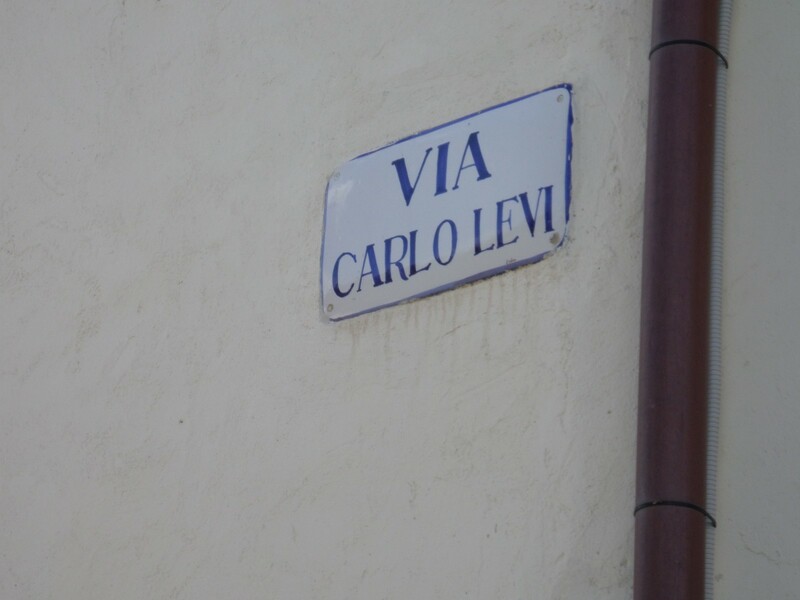 Carlo Levy was a doctor, a writer and painter who originally lived in Turin in the northern province of Piedmonte. He was an outspoken opponent to the creeping Fascism during the time that Hitler and Mousellini were teaming up to unleash hell on the entire planet. 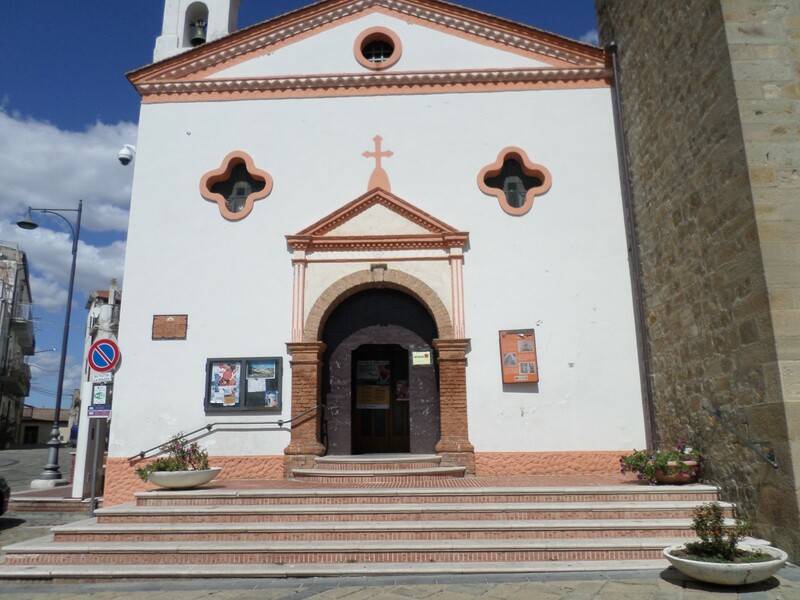 Because he was not quiet about his beliefs, he was sent into exile for two years to a tiny southern Italian hill town in the southern province of Lucania called Aliano. It was not unusual at that time for people to be exiled. In Aliano there were a few exiles, They had strict rules of conduct that they had to adhere to. The reason Levy’s book is so significant is that his writings went on to shed light on what was later called the Shame of Italy. The Shame of Italy was the fact that the people of the nearby hill town of Matera lived in abject squalor. They had dug caves out of the rock and lived in medieval houses made from the white stone that is ubiquitous in that region. 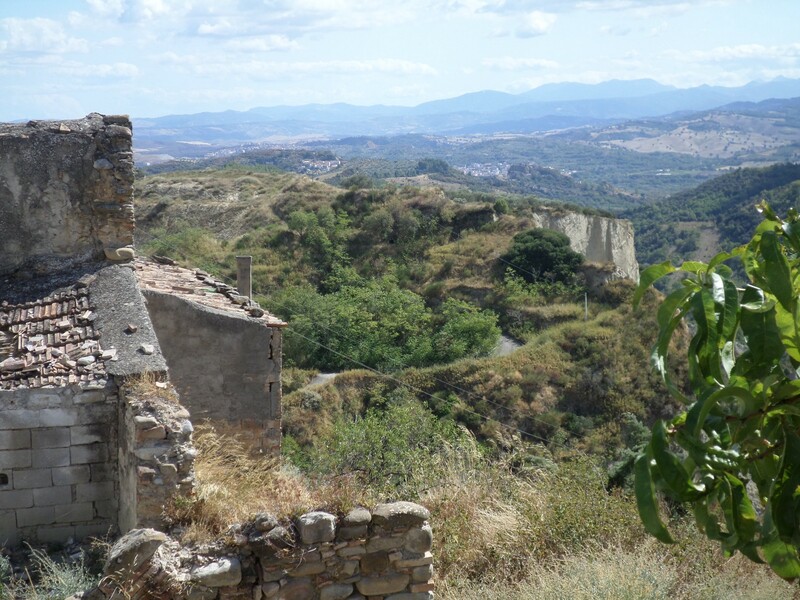 Because the landscape in Southern Italy is arid, in the days before large scale irrigation, people lived on the meager fare they could scratch out on the farms and their livestock. Many times the animals would live in the houses with the families for warmth in Winter. Malaria was rampant throughout Matera and the conditions made it hell. For these reasons the locals told Levy that “Cristo si e Fermata A Eboli”, Christ stopped at Eboli, north of them and not even Christ himself had cared to come this far south. Levy’s book caused an uproar and finally the people of Matera were moved out and into government built houses. 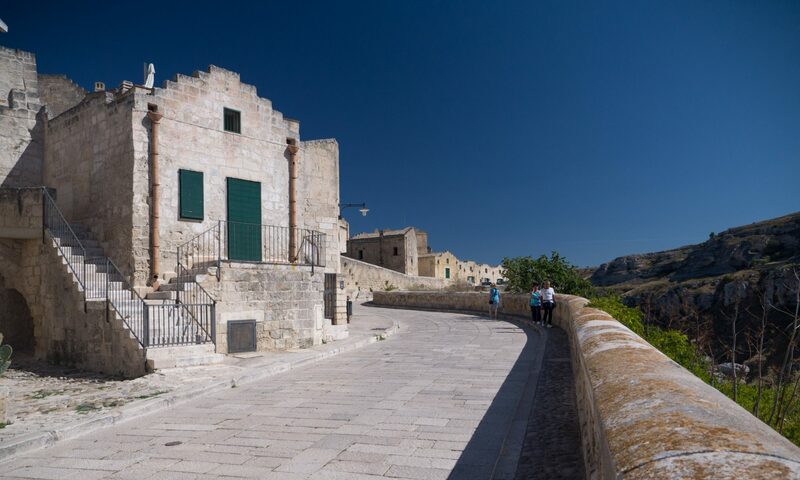 They were provided food and medicine and Matera sat lonely and vacant for awhile. 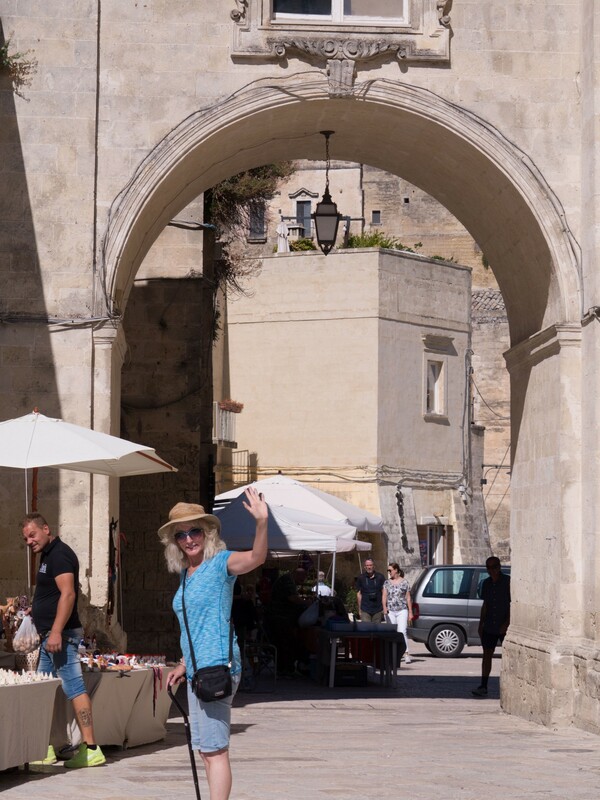 Finally in recent years, the beauty and history of Matera has drawn new interest and people have moved back and created a new and vibrant Matera. 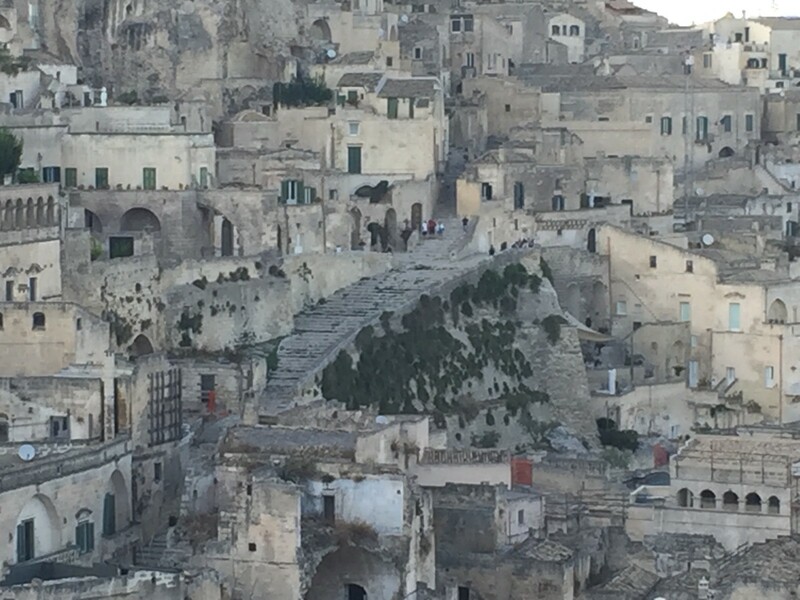 Matera is now a cultural Mecca drawing not only tourists but musicians, artists and film makers. 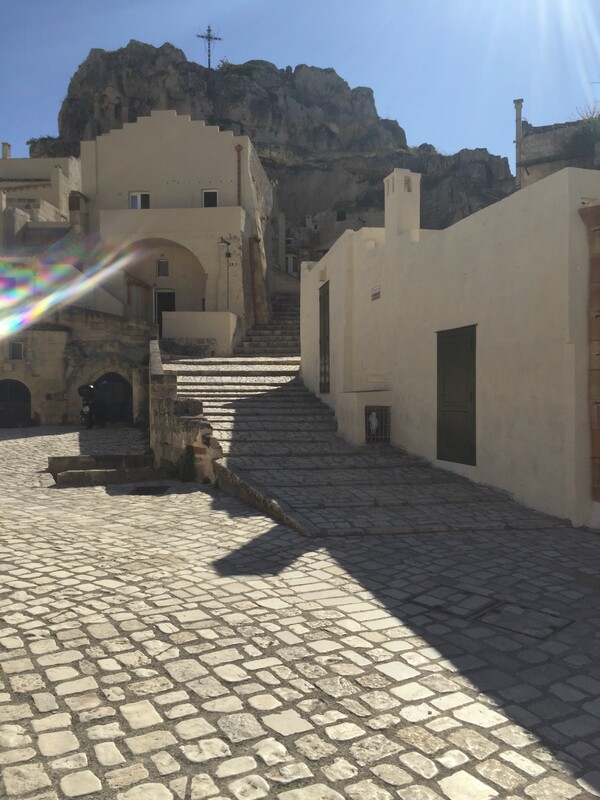 Some of the scenes from Mel Gibson’s Passion of the Christ were filmed here. 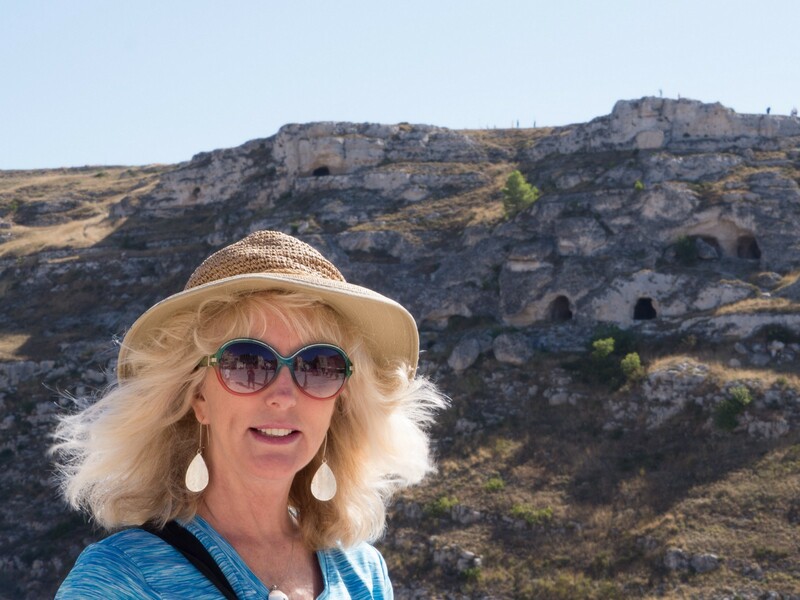 Last Fall my husband and I visited Matera and Aliano. We had read and reread Levy’s book and we wanted to see where this intriguing story had played out. 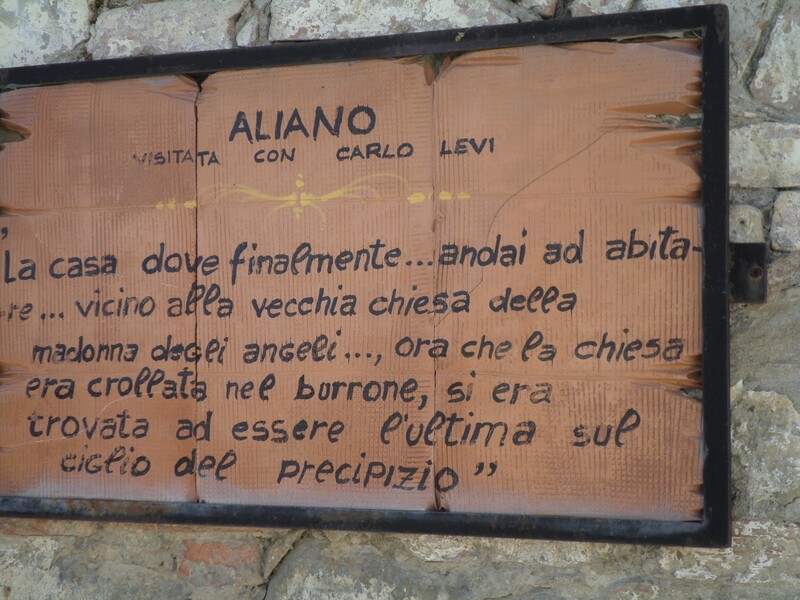 Aliano was fascinating to us as we coud see the actual location where Levy had experienced his exile. We watch his story spring to life. Although being exiled there today would not be much of a hardship, back then it was a rough existence filled with illness, hopelessness, superstition and endless arbitrary bureaucratic red tape that made the smallest effort to make things better suddenly illegal. 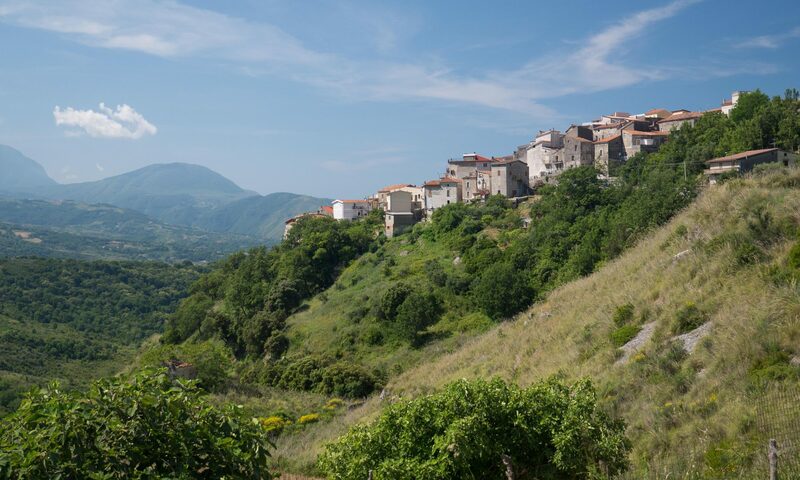 Today Aliano is a lovely hill town springing up in the middle of arid land. It is sleepy and unhurried. Businesses thrive and the restaurants are good, even great. Buses filled with school children file into the town and later, out again because the students are still studying Christ Stopped at Eboli and probably will for a very long time to come. 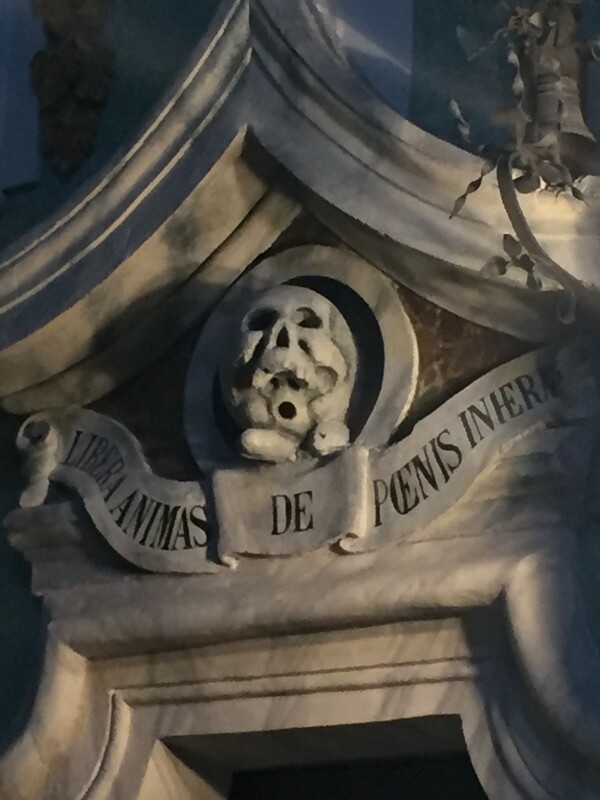 But superstition still dips its hat there as the restaurant we had lunch in was called “La Laconda Con Gli Occhi” or the “Inn of the eyes”. The building itself sports the architectural design that when you look at it from the front, looks like a face with eyes. It is said that the eyes keep evil spirits away. This seems to work fabulously as the food and service were amazing and we highly recommend it. 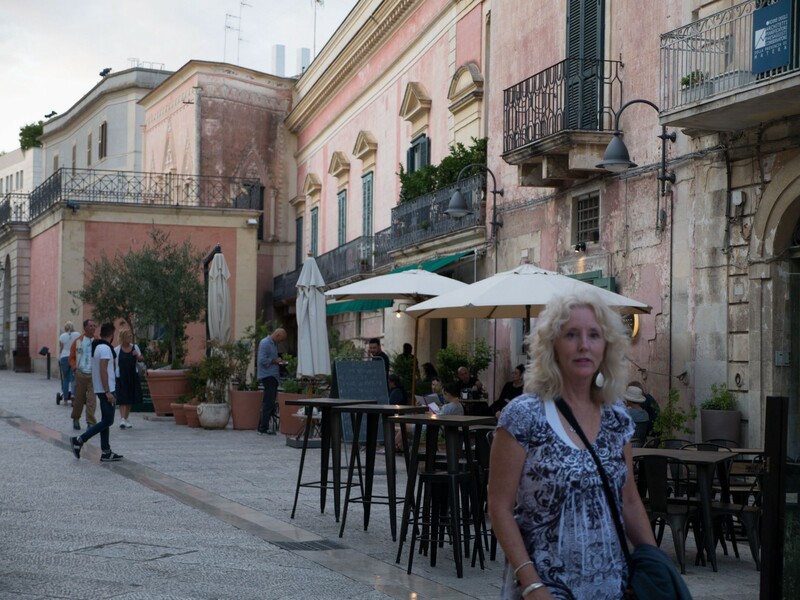 As we later arrived in Matera, we were taken aback by the modern buildings and streets. It was teeming with tourists despite the fact that it is a bit of a trek to get to. We had booked an AIR BNB there overlooking the Sassi de Matera (the old town). This is where the people lived as illustrated in Levy’s book. Our balcony overlooked the Sassi and in the evening the gold lights came up making it look like a fairy town. As dinner time approached we walked to the town center. 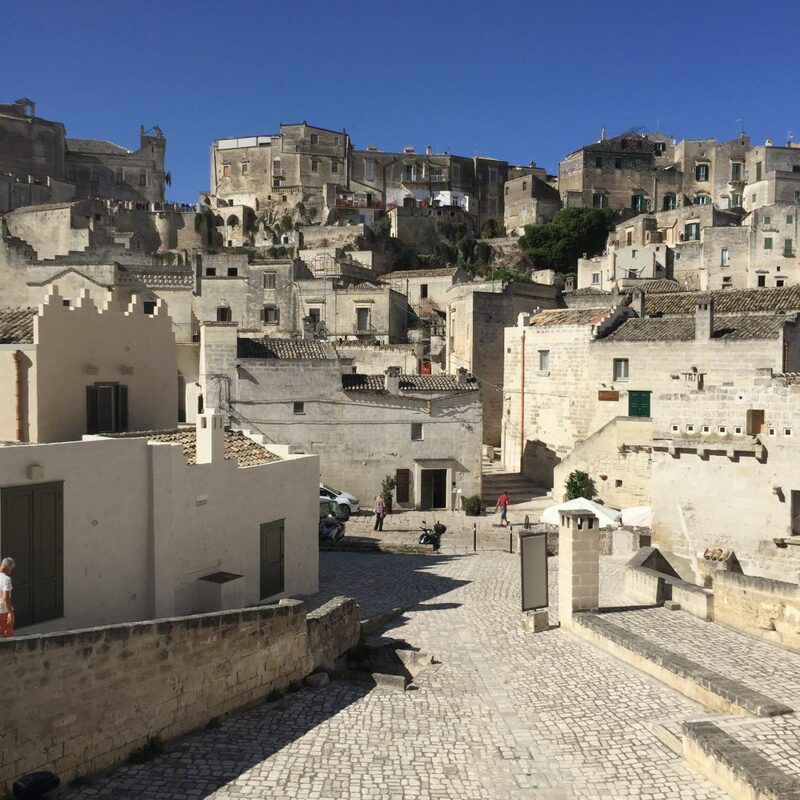 Matera is a vision of white stone streets and houses. The people were out taking the passagiata, the charming custom of walking and talking to each other that happens every night, eveywhere in Italy. As you wander through the town you hear music everywhere. Matera, having elected itself a cultural center has several music academies there. On our walk we alternately heard jazz, opera and rock music filtering through the Sassi. Matera hosts many music festivals and events throughout the year as well. As the sun set the music drifted out over the town and the Sassi. Matera has come into her own. Matera is absolutely worth the time and effort to get there. It is not that difficult and the landscape on the drive over changes dramatically and is never boring. Getting to Matera by car is easiest although you can get there on public transport. Matera has done a lot to cater to tourists. I had no trouble finding several gluten free restaurants and vegetarian dishes are available at many places. 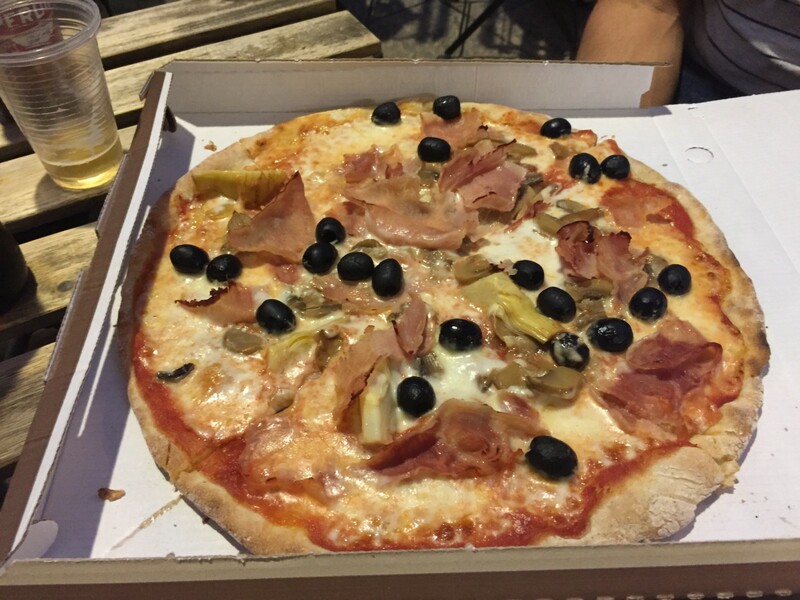 In fact the gluten free pizza and beer I had was way better than any GF pizza here in the states. The best time to go is during shoulder season. The weather can be brutally hot in Summer and cold in Winter. Spring and Fall are magnificent. 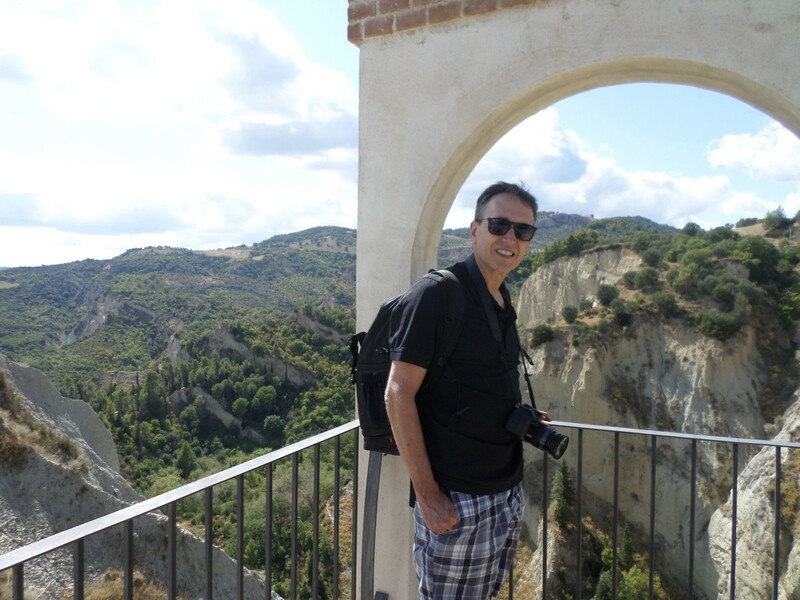 If you are interested in visiting Matera or anywhere in Italy, contact me. 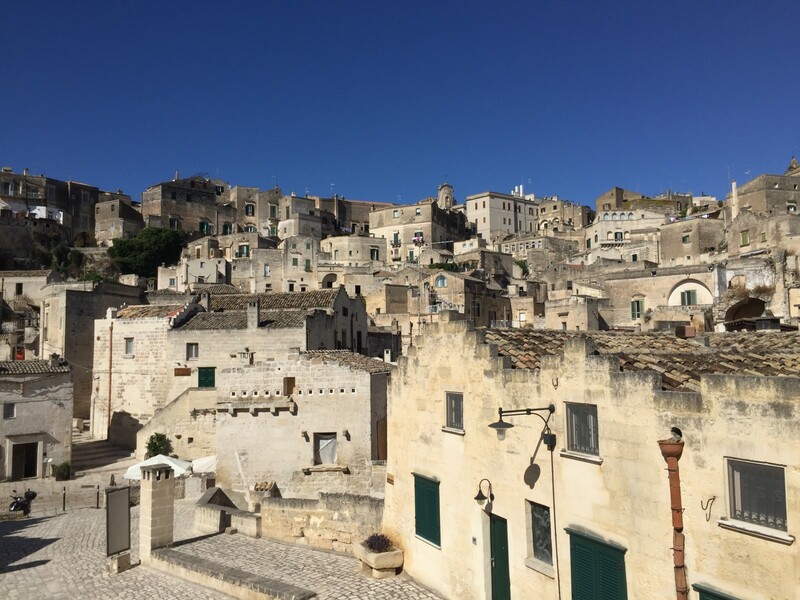 IF you have seen Matera, please leave a comment about your experiences there.